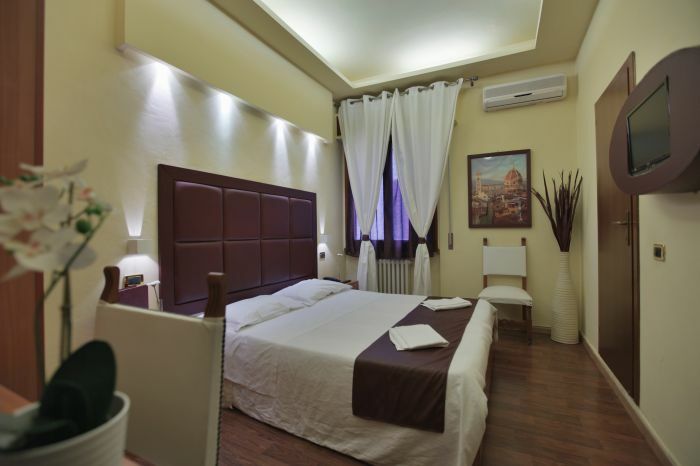 The friendly staff with great experience, will be happy to make your stay more comfortable and happy, giving you tips on the most beautiful and important tourist attractions of Florence and Tuscany. You can also get advice on how to better organize excursions and finally you will be updated on cultural events. outdoor swimming pool, football field, volleyball court, mini golf, free climbing, lake and park. 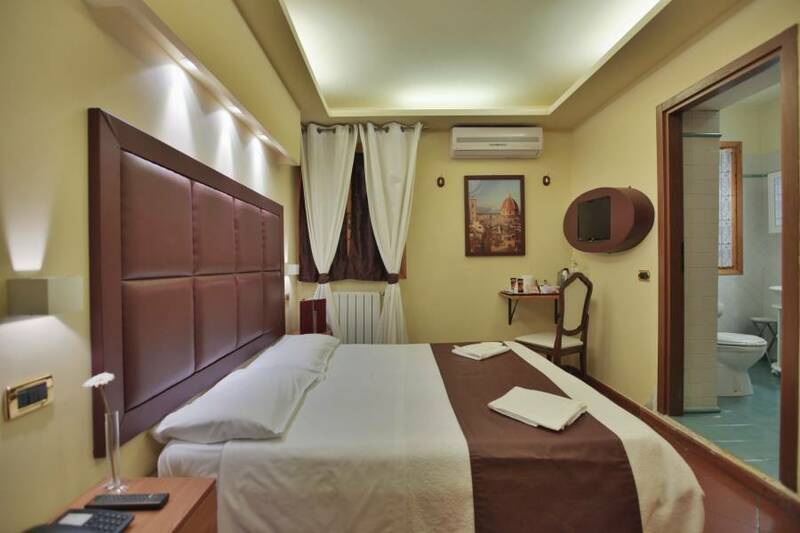 Facilities included: Wi-fi in room and public areas, Airconditioning, Luggage Storage, Taxi reservations, museums and restaurants, towels and daily cleaning, Iron, Luggage storage, fax reception. Equipment not included in the price: Airport transfer (cost € 25. 00 per trip), Breakfast for free! . Indoor pool, open in summer only, separate cost in the spot, is not included in the price, Laundry fee, faxing fee, calls for a fee. 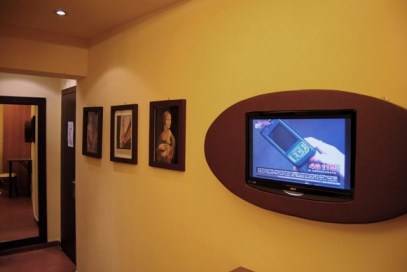 All the rooms with comfortable beds include: sheets and pillowcase, soudproof door, large mirror, window, closet, desk, private bathroom with shower, towels, soaps, shampoos, hair dryer, television, radio, air conditioning, heating, telephone, alarm clock, Wi-Fi. 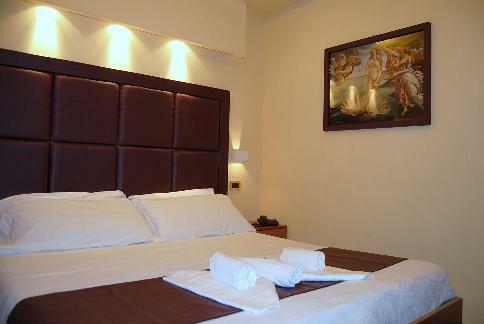 Located in a quiet area with plenty of amenities, suitable for tourists and families. The geographical position is a strategic, very good choice for those who want to visit the historical center of Florence and the Chianti hills. Airport Amerigo vespucci 6 km. Signa train Station 900 metres far from us. Go on the A1 (Bologna-Roma) and exit at Firenze-Scandicci; Carry on following S. G. C. FI-PI-LI (motorway) towards Pisa; Leave at Lastra signa and follow signs for SIGNA. If you are on the A11 (Firenze - mare), exit Prato est and then follow signs for SIGNA. If you come from Florence, take S. G. C. FI-PI-LI (superstrada) towards Pisa; Exit Lastra a Signa, and then follow signs for Signa. Parking: There is a free car park in front of the hotel. By Train: If you prefer travelling by train (Eurostar, Intercity or others) you will have to get off in Firenze S. M. N., then to reach us you'll have to catch a Local or Regional train from Florence to Signa. It's only a 15 minute trip. We are in front of Coop and Penny Supermarkets. From the station of Signa there are several trains that will take you to Prato, Pisa, Siena, Arezzo, Montecatini and Livorno, etc. By Bus: take the bus number 72A from Florence Station to Signa and you will arrive directly at the hotel (is longest trip is about 30 minutes).